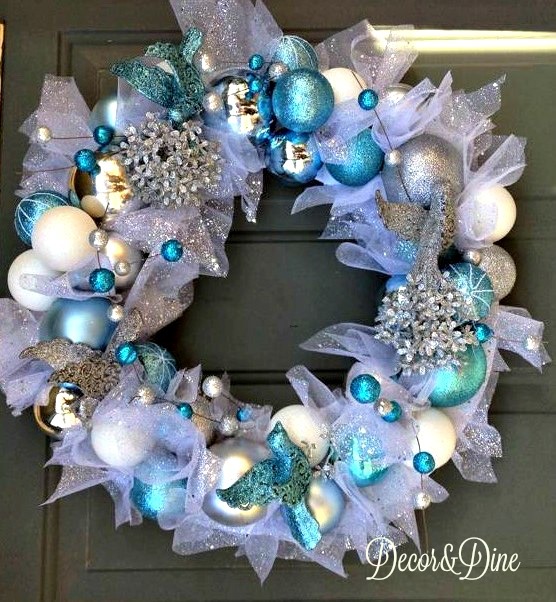 When you’re a student away from home and money is an issue, how do you find an affordable Christmas wreath for your front door? And when you get home, you grab your glue gun and scissors and get to work! That’s exactly what my daughter and her roommate did! They didn’t even purchase a wreath form…they used foam board. Foam board, assorted balls, birds, a berry pick and a small roll of tulle…all available at the Dollar Store. Cut the foam board into a circle, cut the tulle into squares/strips…now your ready! Get that glue gun and start gluing. Start with the balls then fill all the gaps with the tulle. Tuck in the berries and add the other embellishments (birds, flowers). Before you know it you will have a wonderful wreath to display on your front door or in your home. 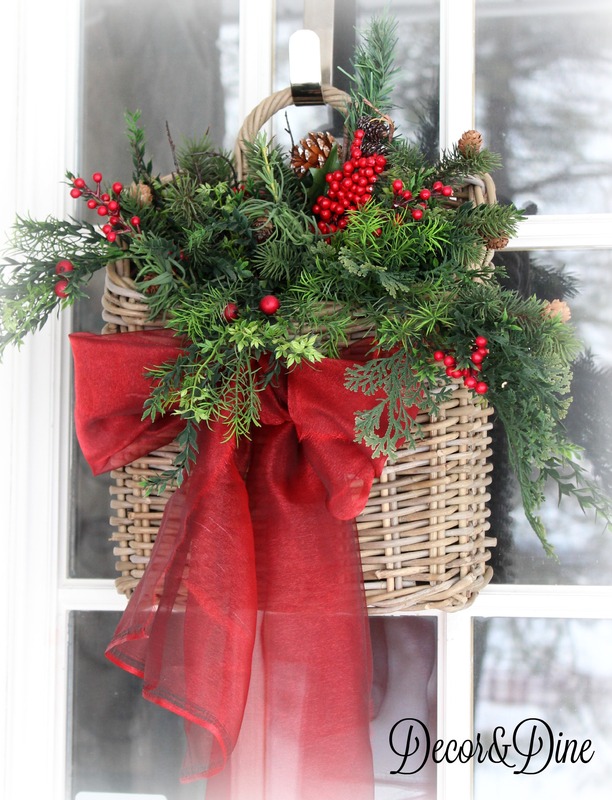 Last Christmas I used a basket instead of a wreath on one of my doors. I simply filled it with leftover picks, tied a large bow around it…done, it was as easy as that! 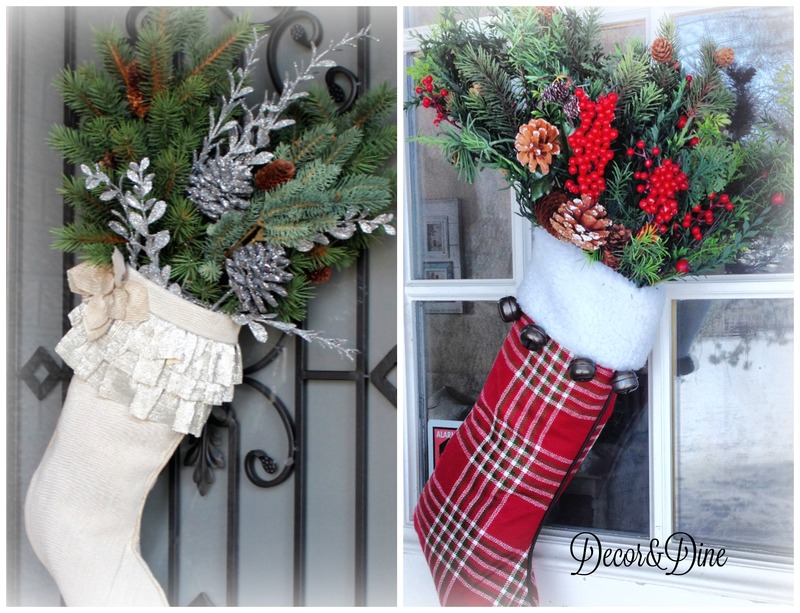 Have extra stockings? Use them for your front door…check how I made these here! The wreath is darling! Very clever!